Whatever your dream is, I want that for you too. And you can start achieving it – including a deep and profound happiness – RIGHT NOW. “All human suffering stems from a malfunction in thought.” This was a primary understanding I received during my near-death experience. People sadly fail to fulfill their dreams — and continue feeling unhappy, unconfident, unlucky, unfulfilled, stressed, depressed, anxious, or exhausted from worry — because of the way they are THINKING. Your thoughts stem from the beliefs you hold in your subconscious – beliefs which you may or may not even be aware of. So depending on what thoughts and (unconscious) beliefs you have, you’ll experience either happiness, success, and fulfillment in your life… or the opposite. Which means if your thoughts are talkin’ smack about you behind your back, those delicious dreams of yours don’t and won’t get fulfilled. Let’s turn that around! FREE! 10 fast, easy “life hacks” that will help you SHIFT out of a negative thought or bad mood: FREE for you. These life hacks are strategies to use whenever something has gone haywire in your day and a bad mood is threatening to topple your serenity and happiness. You’ll get one life hack delivered every day to your email – for 10 days. Put them to use whenever you need to shift out of a worry, help let go of a resentment or feeling of embarrassment, or any other situation that brought down your mood. Click here to let me know where to send the series, and the first technique will be delivered right away to your email inbox. My goal is to raise happiness, so ENJOY! 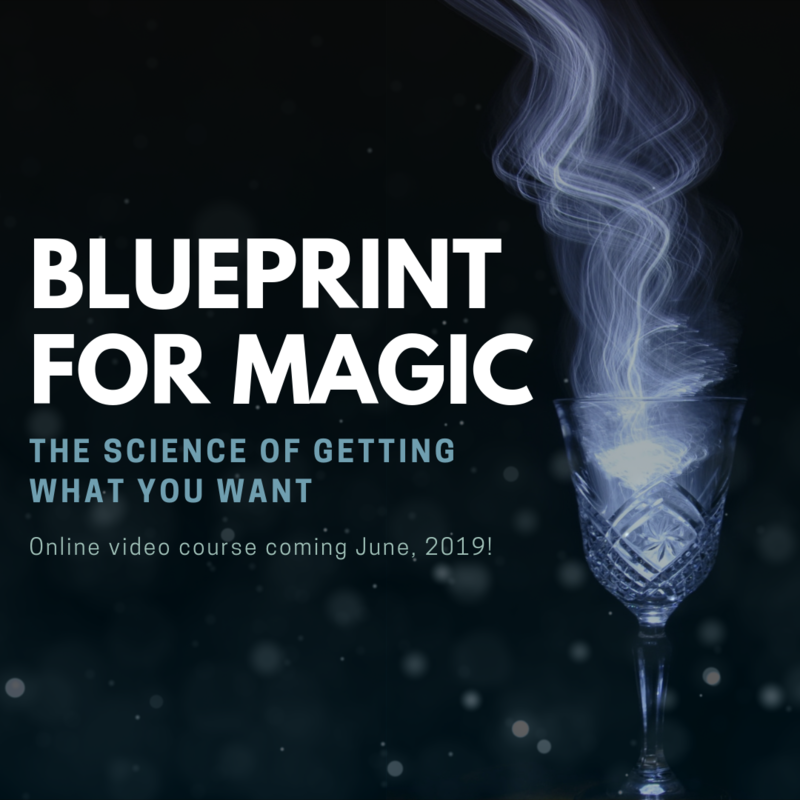 I am thrilled to finally be sharing this course as it is one of my favorite courses I’ve ever created. I have used the Blueprint since 1998 to actualize many of my desires: a beautiful house, sunny apartments, deep new friendships, the “perfect” employees, greater income… and even 3 relationships(!) – all “to spec.” How the “order” is placed, and what you do afterward, are the two keys to making the magic happen. And that’s exactly what I share with you in this new course. In this course you’ll learn to get clarity on what you TRULY desire, shift your mindset & nervous system from the impossible to possible, effectively fill out the actual Blueprint (your “order” to the Universe/ Subconscious), understand the biggest blocks to receiving your desire, how to remove those blocks, and the specific steps to take after you’ve sent out your request (EXTREMELY IMPORTANT). it’s feels right for you, you’ll know it. Based on my Amazon bestseller, “How To Stop Negative Thoughts,” this video-based, step-by-step, online course goes into more detail about the first 4 steps of the De-Looping Method. It’s one thing to read the book… it’s another thing altogether to DO the steps outlined in the book. DOING is where transformation takes place, and that’s where I see many people falter (we all do this!). So I wanted to solve that issue by covering the material in more of a “I’m here with you” way. This course will also include additional de-looping techniques and bring more understanding about where Mind Loops come from, how they get stuck in our heads – and best: how to begin to retrain your mind. *PLEASE EMAIL if you’re interested in this course so I can send you info when it’s ready: barbara@themindloopgroup.com . Life is complex enough without unconscious programming that causes you to doubt and criticize yourself, over-worry, and stress over things you can’t control. During this 21-day series, you’ll be using two of my favorite techniques: Meditation (already great for an overactive mind), and Mind Loop Mantras (a reprogramming technique from the De-Looping Method). Both open you to new ways of thinking and viewing the world; the combination begins the creation of new neural pathways in your brain – and changes how you feel. Designed specifically for Highly-Sensitive People (HSPs), Empaths, people working in healing professions (massage therapists, vets), artists, intuitives, psychics, introverts, and anyone overwhelmed by life. Let these meditations help you experience the full power and strength within you. I work with a very limited number of one-on-one clients. We work on YOUR SPECIFIC DESIRE / DREAM / NEED to de-program and re-program your thoughts and beliefs – your Mind Loops – using The De-Looping Method. Sessions take place via Skype or phone, 30 mins per session, one session per week, 4 sessions per month. They rock. You WILL see, experience, and feel changes. Mind Loops YouTube Channel (subscribe if you like what you see!) and Mind Loops Blog. Give the ideas I share a try and something special might start happening in your life. You might feel kinda… GOOD. What the…?! Yeah. It’s possible. And it can happen quickly too. Get the Mind Loops Blog here.